I know you don’t want to hear it, or read it, but I’m going to say it anyway – summer is ending. If you’re like me, you spend your nights plotting how to make the summer last just a little bit longer, contemplating which adventures you simply must fit in your schedule before the wind starts getting chilly and the sun isn’t waiting for you to get off work before it sets. There are several aspects of this month’s chosen drink that make it perfect for this time of year, but first, it’s important to understand a few seasonal environmental factors that will affect one’s energy level. 1 – Changes in sleep schedule. 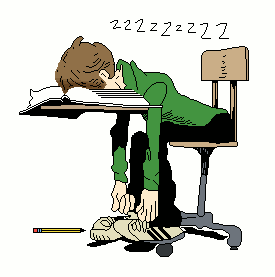 If you’re of school age, your days of staying up til 2 a.m. and sleeping in past noon are numbered. Getting used to waking up early might be a difficult transition for some, so a little help in the form of caffeine might be necessary. Even if you’re NOT a student, you may have noticed a significant change in freeway traffic. With less people driving to and from school, there’s usually fewer cars on the road. For many working adults, that means not having to wake up QUITEso early to beat the traffic to work. My, my, we’re in for a shock once schools go back into session. When you have to wake up earlier and earlier to avoid “Please-don’t-rear-end-me” freeway phobias, you may need some help waking up. Driving tired is at just as dangerous as driving drunk. It’s not unusual to feel fatigued after a long day in the sun, even if all you did was work on your tan. This “sun fatigue” has several suggested causes, ranging from dehydration to increased production of certain vitamins to increased UV damage and subsequent inflammation of the skin (the largest organ of the body). If playing or basking in the sun leaves you feeling wiped out, you may need something to wake you up for your evening activities. If you’ve made a summer bucket list, you may feel the heat as you try to check every activity off your list before the summer ends. Hey, if the days are longer, why not try to cram everything into one week, right? Sure, why not, but that hustle and bustle leaves some a bit winded. For all three situations above, caffeine is just ONE solution. Getting more sleep, getting less sun or driving to lively music instead of news radio are also helpful solutions to these scenarios. For these situations, you don’t need a high-powered shock of energy, only a gentle boost. That’s precisely why I’ve picked Archer Farms Pomegranate Blueberry for the Energy Drink of the Month for August 2013. This drink is exceptionally enjoyable on a hot summer day and its 12-ounce size makes it easy to carry. It’s 40% juice so you won’t have to worry about how the heat affects carbonation (carbonation and heat do not get along). Moreover, each can contains only one serving with a whopping 70 milligrams of caffeine. That’s just 10 milligrams short of the caffeine in a Red Bull or Starbucks Frappuccino, but it’s significantly less caffeine than other ready-to-go/convenience factor caffeine sources like McD’s iced coffee or Starbucks’ bottled Iced Coffee. Make no mistake, though this drink is fortified with vitamins and contains ginseng and taurine, caffeine is the active ingredient. In nature, pomegranates and blueberries are loaded with antioxidants but the juice itself, not as much. The sugar (19 grams per serving) will also help with battling fatigue but there are sugar-free versions for those trying to limit their added sugars. According to the 5 Levels of Fatigue outlined in the book ARE YOU A MONSTER OR A ROCK STAR: a guide to energy drinks, this product would be at the upper end of Fatigue Level 2: Too Tired to Go It Alone. There are alternatives to caffeine to beat the August-specific causes of fatigue, but for those who do turn to caffeine, start small. Save the high-powered drinks with upwards of 120 milligrams for the days when the sun is only out for your lunch break or for the all-nighter midterms study sessions. With only 70 milligrams of caffeine amidst the crisp, refreshing juice of a pomegranate-blueberry combo and the light sweetness of pear juice (ahem, the first juice listed on the Ingredient Line), this is the perfect energy drink for the month of August.